Former England international striker Andrew Johnson will head to Kenilworth Road for talks about a potential transfer early next week. The 33-year-old, who has won eight caps for his country, is now a free agent after being released by Crystal Palace recently. 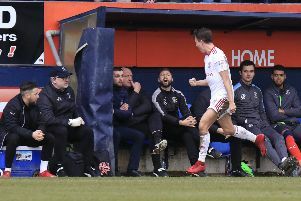 Hatters boss John Still admitted discussions have taken place about a move to Luton and when asked this afternoon for the latest, he said: “I spoke to Andrew today, and he’s going to come in and see us on Monday. “We said when he left there (Palace) we’re going to leave it a couple of weeks, let things settle down.